"As a current NACHR member and a newly certified CHCR, I believe my NAHCR membership to be very valuable. Not only does it provide me with resources through my local chapter, my region and my national affiliation, but I feel like it is still very personal, in that I could pick up the phone and call anyone in my NAHCR Directions publication if I had a question. The national conference is a great opportunity to be with “my people” who understand the daily challenges I face as a recruiter. I also learn from the variety of speakers and professionals NAHCR brings in to present each year. 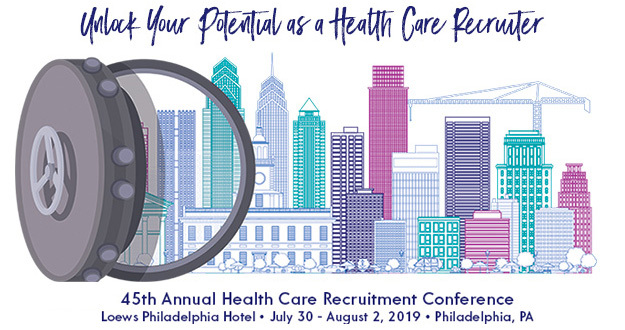 The regional meeting is by far the best offering, as you learn from people in your state and those nearby what is going on in healthcare recruitment and what trends you’re likely to see. This is my third year holding as a NAHCR member, and I plan to continue my membership as long as I’m able to, because it is a great resource to me as a Healthcare Recruiter. I also encourage our local members to join NAHCR because of the benefits I’ve received. " "Being a member of NAHCR has been invaluable to me as a recruiter! I began my recruitment career without experience and little knowledge of the recruiter’s role. Attending the New Recruiter’s orientation session gave me the knowledge I needed to know what I wasn’t doing (ekes), the direction to know where to begin and the networking to ask for help along the way. Now that I’m a seasoned recruiter, NAHCR allows me the opportunity to contact colleagues (that I don’t always know) who generously share ideas, remind me what “pitfalls” to avoid and support me to be successful. Attending the annual conference allows me to touch base with colleagues and exhibitors to further develop relationships and to remind me which NAHCR resource to contact when my stress level increases on a new project!" "I have been affiliated with NAHCR for over 10 years. It has provided me a network of national recruitment professionals that I can access. Whether Arkansas, New York, Seattle or Southern Maryland, my colleagues are a phone call or email away. It is almost as if I have a department that spans over 200. NAHCR provides me with the resources to address the changing face of recruitment and broadens the scope of my recruitment division."